As a professional Orange County photographer, I am often asked by friends and family for tips and tricks on taking better photos. I definitely have a few that can help almost anyone take better pictures. Whether you’re acting as a wedding photographer or taking pregnancy photographs, these tricks will help your photos turn out more interesting. 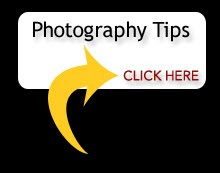 As always, if you have any questions about these tips or finding an Orange County photographer, feel free to call my studio at 949-589-5311. 1) Subject Position – No matter if your photographing a child, a landmark or an animal, correctly positioning the subject of your photograph can make a huge difference in the outcome. While many amateur photographers think they should center the subject, the truth is that photographs are more interesting when the subject is off-center. 2) Backgrounds – one of the easiest ways to ruin a great picture is to have an interfering background. Be sure to take notice of what’s behind your subject before you snap your picture. Is there a tree branch or a light post that will distort your photos? Is the wallpaper to busy next to your subject’s shirt? A quick look around will help you create better photos. 3) Natural Frames – an easy way to add depth and interest to your photos is to use a natural frame for your subject. From doorways to trees, there are hundreds if not thousands of objects you can use to help frame your subjects. Simply position your subject in a window or between bushes to help create a beautiful photograph.